There are no signs of compromise in the fight over Medicaid in Virginia after two days of a special session on the state budget. WASHINGTON — There are no signs of compromise in the fight over Medicaid in Virginia after two days of a special session on the state budget. Gov. Terry McAuliffe, a Democrat; Senate Democrats and a few Senate Republicans want to expand Medicaid to cover people making up to 138 percent of the federal poverty line. That’s about $33,000 per year for a family or about $16,000 for an individual. Republican leaders in the House of Delegates say the commonwealth can’t count on the federal government to come through on the promise to pay for nearly all of the expansion. Under the Affordable Care Act, also known as Obamacare, the federal government says it will pay the nearly $2 billion annual cost of expansion in the first years, then 90 percent of the cost after that. Republicans in the House of Delegates say they want to consider Medicaid expansion in a separate special session, and pass the two-year state budget without considering it. The original budget that was debated during the regular session was proposed by former Gov. Bob McDonnell before he left office. 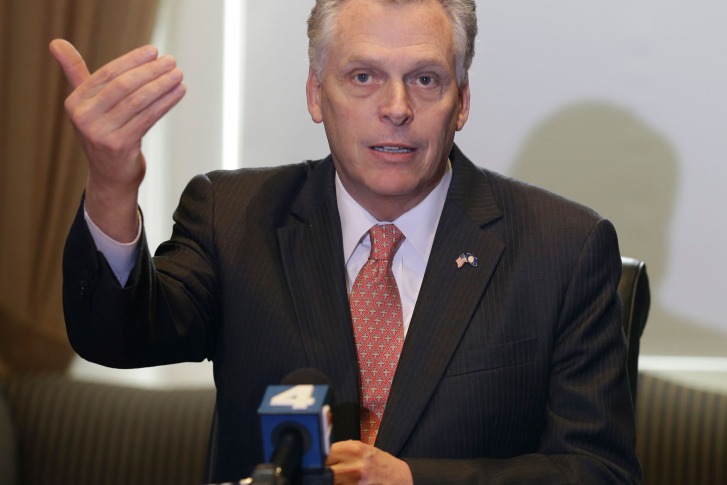 Now, House Republicans and McAuliffe are out with their own plans. On Monday, McAuliffe announced a proposal to expand Medicaid, but only on a two-year trial basis. The House of Delegates and Senate were close to agreement on issues other than Medicaid in the state budget before the 60-day regular session ended about two weeks ago. If the stalemate over the state budget drags on much longer, it will create questions for local governments across Virginia about how much money they can count on from the state over the coming fiscal year that starts July 1. The uncertainty could affect decisions on budgets for schools and other local priorities, along with decisions on new fees and property tax rates. If a budget deal isn’t reached in Richmond by July 1, the state government would shut down. Governor McAuliffe will take your questions at 10 a.m. Wednesday March 26 on WTOP’s “Ask the Governor” program. Follow @WTOP on Twitter and WTOP on Facebook.